Uncategorized Archives - Mega Cone Creamery Inc.
You’re the boss. You’re working hard to hit goals and crush deadlines. You run a tight ship because you and your employees have lots of work to do every day of the week. The last thing your team needs to be doing is goofing off outside, right? Studies show that might be exactly what they need the most! 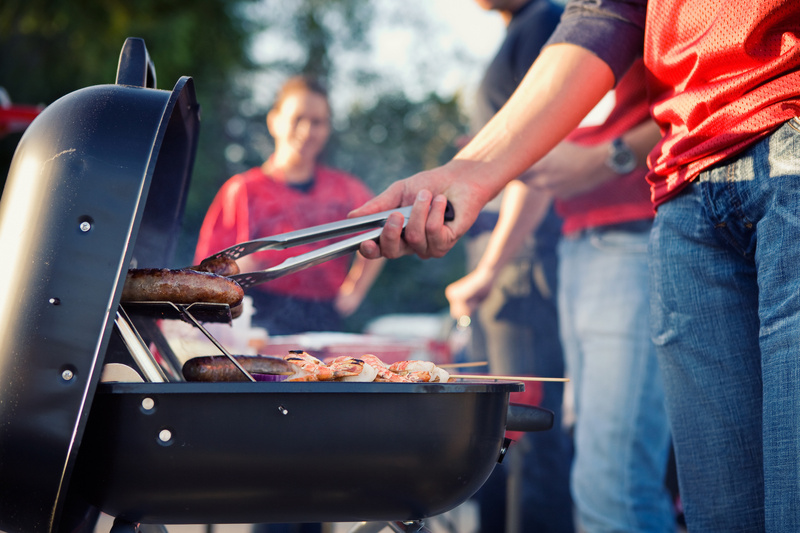 A company BBQ is the perfect way to celebrate your team’s accomplishments and regroup. If you want your team to continue to work hard, reward them by giving them the chance to play hard! No matter what industry, members of your team need to be good at communicating with each other. It’s easy to go through the motions and get lost in daily tasks at the workplace. But in a relaxed, work-free environment like a company BBQ there is nothing else to do besides communicate! Team events outside the office remind everyone to listen to and learn from each other. Personal stories shared around some drinks might be just the encouragement a team member needs to no longer feel intimidated by their peers. Coworkers often realize they have more in common with each other after fun work events after hours. Nothing boosts morale like knowing you’re part of a team that knows you well and cares about your story. Networking isn’t just building relationships with important people outside of your company. Internal networking is the best way to find hidden talents within the team you already have. It’s important entry-level employees feel acknowledged and valued by middle and upper management. At team building activities, nobody is less approachable than anyone else. New team members are more comfortable sharing their ideas over a good plate of food than over a conference table. A company BBQ encourages meeting other people you don’t normally interact with at work. Without inclusive team events like these, you might never meet the person perfectly suited to help you with your next big project. When someone is personally acknowledged by their peers and higher-ups, they’re more likely to give their all on Monday. Healthy competition is a catalyst for innovation and improvement. When team members are motivated by their own desire to improve themselves, they’re more invested in the work they do. The annual company BBQ is the perfect place and time to do team building events that encourage fun competition. Although some people will always be more naturally competitive than others, a friendly setting with fun prizes encourages everyone to push themselves a little more. Not everyone is motivated to work harder just because their manager would like them to. Figure out what kind of fun rewards your team is motivated by, like free merchandise or extra vacation time. Host a casual sports tournament at the next company BBQ with interesting prizes, and watch people you thought were shy come out of their shell. Experiment with healthy competition during team days. Then continue to apply that to work-related goals back at the office, and watch morale skyrocket. When you trust and enjoy spending time with the people you work with, you are more likely to stay engaged while on the clock. Requesting to spend time with your employees off the clock sends the message you are personally invested in them. If you only cared about your employees hitting deadlines, why would you invite them over for ribs and lemonade? Give your employees a personal stake in your company. Show your employees you want to spend time with them. Ask them for their input on how to run the company BBQ this year. Ask them to bring their favorite home-made dish. Relaxing over some food is the perfect time to talk about the big picture with your employees. Let them know the larger vision of your company. Ask for their input. Start a conversation about how to reach larger company goals within the next 6 months. Include your team of employees in your long-term business goals at the company BBQ. Help them get excited about the same things you get excited about. When you host an annual event like a company BBQ, you give members of your team a chance to express themselves creatively. Even though you might see each other at the office every day, it’s good to spend time with your coworkers in new settings. Company events outside of work give everyone a chance to wear clothes they normally don’t get to wear. They create openings for people in the background to step up and volunteer more. Most of all, when you give your team chances to express their creativity they care more about their work. They know they are valued not just for the work they’re paid to do, they’re an irreplaceable part of a team. Host a bonding event outside of work at least once a year. You’ll show your employees you care about them and their ideas as much as the money they make for you. Now that you’ve decided to throw a party, the real fun begins! What’s the perfect location? Who’s bringing dessert? Should you hire a caterer? Give your team a party they’ll never forget, and book an ice cream truck for your next corporate event! For more helpful tips on how to run a flawless company outing, check out our blog. Or better yet, contact us today to let the professionals handle the logistics and leave all the partying for you.